About the same here in the Boston area. I planted a week after our average last frost date and had 2 weeks of temps in the 50’s. Then it was dry for a month, then it rained for two weeks. All my radished bolted, tomatoes are spindley pathetic things. I’m all ready looking forward to next year. 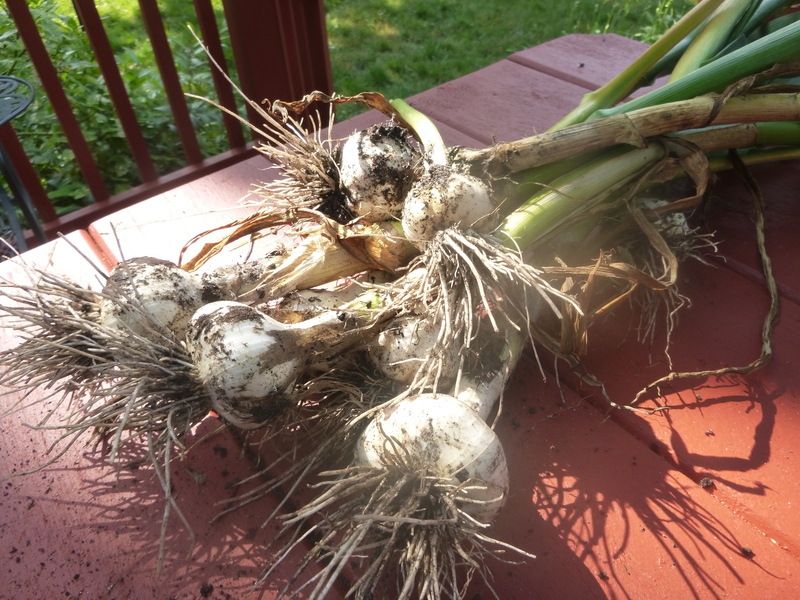 I have harvested my garlic and it’s no bad but less than last year. It’s comforting to hear I am not the only one! Less comforting to think about how food prices are going to soar as a result of the climactic conditions! so does my mom! I need to try it. Recipe? 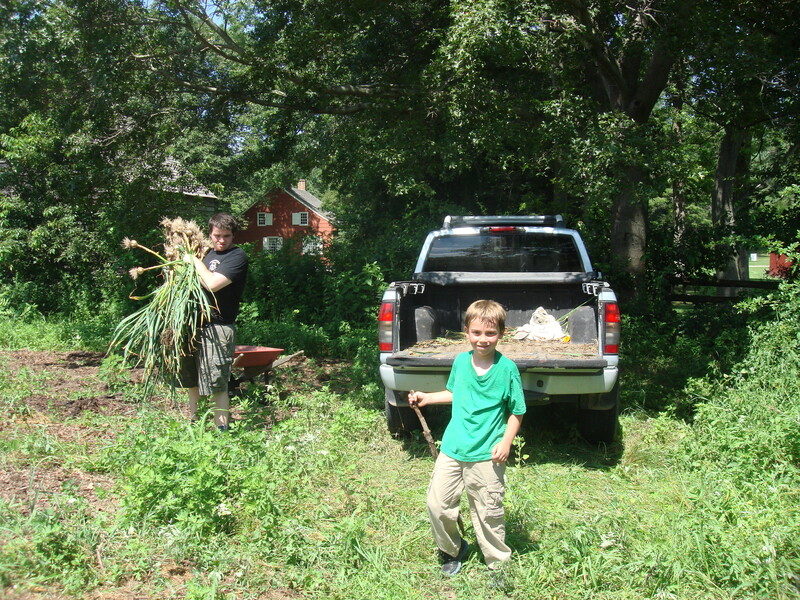 anyhoo…I think we’ll plant twice as much garlic this fall…. Thanks Old Dog, for the visit and for the recommendation. Thanks! I think we will do much more of it come October! (from California, i believe): growing it oneself would be even better! I don’t know how well it would grow in PR,,,it overwinters here!!!! I planted a huge variety of stuff in Atlanta, quite a few years ago and was dismayed to find lots of it eaten just after the shoots came up. I never did catch the critter who was eating it. Thank you for the commiseration and kind words, my friend! I soooo want to be a terrific grower and I am so not! But little by little….